St Mary of the Cross MacKillop Parish, Warnervale, began in 2003 when the College first opened. The Parish is a community privileged to have Australia’s first saint as their patron, with a unique relationship with our College. Mass is held daily, with regular programs and special services. 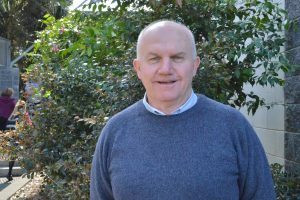 Fr Vince Casey has been our Parish Priest since 2015, coming to Warnervale after being the Vicar General to Bishop David Walker and Diocesan Administrator. A compassionate and gentle soul, our College and Parish are blessed to have him part of our community. For more information about the Parish, please visit St Mary of the Cross MacKillop, Warnervale or contact the Parish Office on 8379 1740.